Stylists of 23-year-old Kristina Romanova made a fashion mistake. 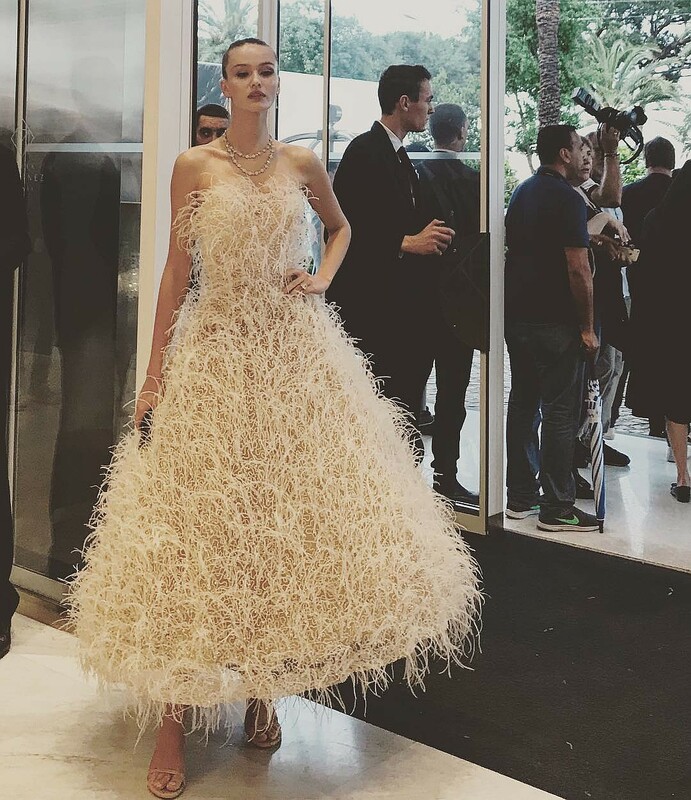 The Cannes Film Festival was attended by the most talented and beautiful representatives of the world of cinema. . The red carpet of this grand event has seen a lot. This year, the stars preferred minimum clothes, or extreme transparency. In two days all this splendor will remain in history. In the meantime, those who have never been connected with this event are using the opportunity to dazzle in Cannes. So, the bride of the billionaire Vladislav Doronin Kristina Romanova appeared on red carpet. The 23-year-old model and the mother of the two-year-old daughter of the Russian oligarch, like all her colleagues, prepared carefully for the exit. The beloved of building magnate, whose former girlfriend was Naomi Campbell herself, had her own stylist, make-up artist, hairdresser - everything as it should. The dress of the beautiful model looked ridiculous. 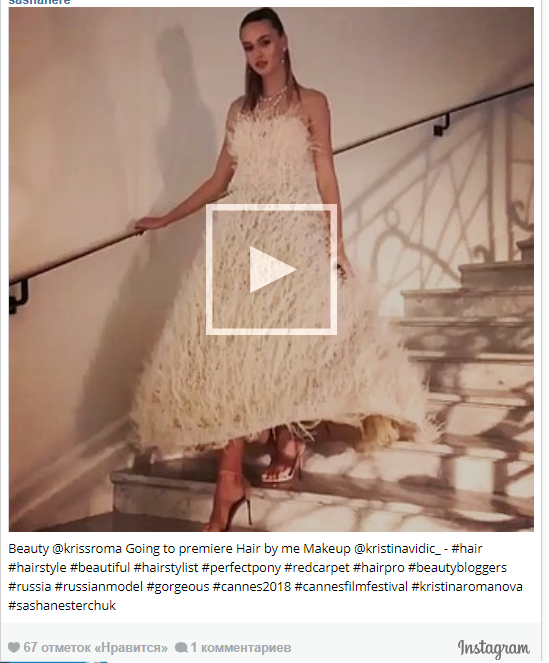 Some Kristina's fans said that she looked like a hen in feathers. For comparison, it is worth looking at another model, but more experienced and world famous. 32-year-old Natasha Poly, who was combed by the same hairdresser, looked like this.